Mack’s new readers theater play about photographer Lewis Hine is featured in the October 31st edition of Scholastic’s Scope magazine. The play explores child labor in the early 1900’s by following a pair of siblings–Martha and Leo–into the textile mill where they worked twelves hours a day or more. Hine’s photographs depicting the dangerous conditions in which children worked eventually led to legislation, including the Fair Labor Standards Act. You can check out the play and related teacher materials and lesson plans at Scope’s website by clicking here. For a free trial to Scope, Scholastic’s classroom magazine for grades 6 through 8, click here. For access to Mack’s read-aloud plays, including many that have been published in Scope or Storyworks, visit his store at TeachersPayTeachers. For more on Lewis Hine and his crusade against child labor visit The History Place or The Lewis Hine Project. 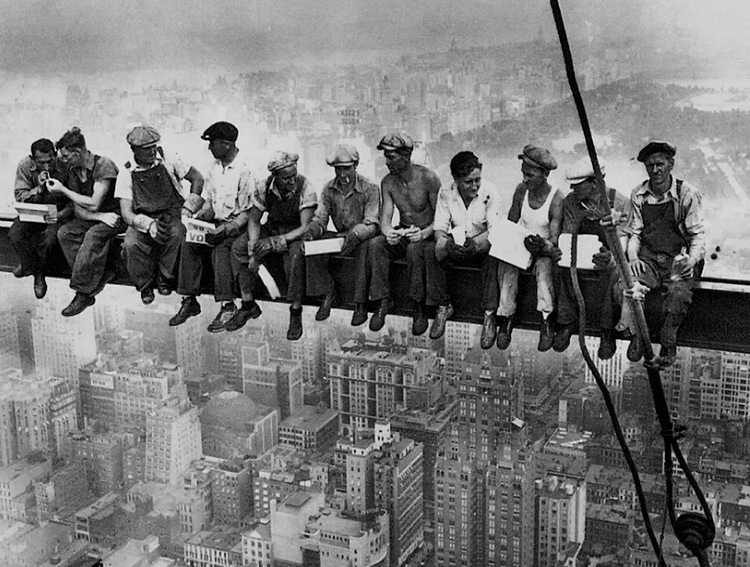 Among Hine’s most recognizable photographs are those high atop New York’s skyscrapers during their construction. The one at right is from The Rockefeller Center.